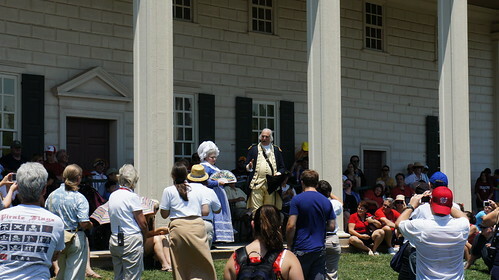 We visited George Washington’s Mount Vernon on the Fourth of July to see the Independence Day festivities. 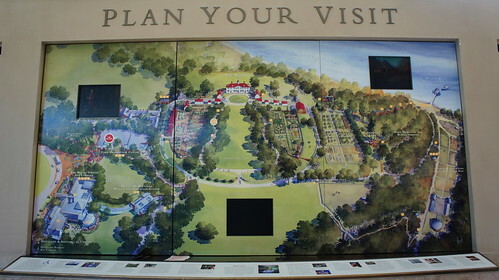 I hadn’t been to Mount Vernon since a Christmas visit in 2005 when the visitor center was still under construction, so I was interested in seeing the finished estate. 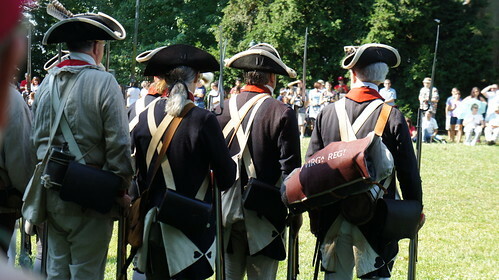 An “Inspection of the Troops” reenactment was underway on the Bowling Green. 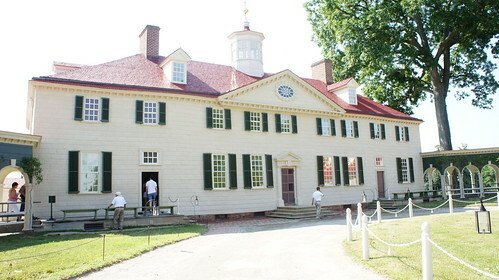 At George Washington’s mansion a tour guide was nice enough to let us into a group about to go in, an hour earlier than our timed entry passes. 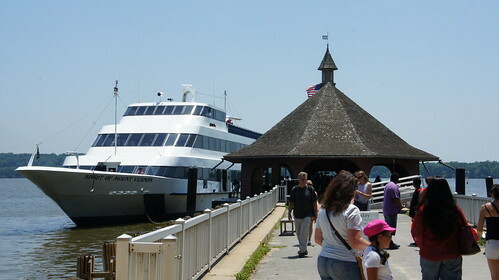 Still no photos allowed inside. 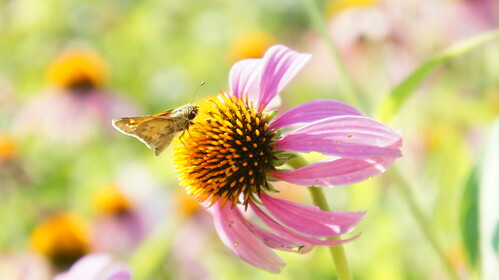 We also walked around the gardens, where some girls in period costume were running about, and butterflies sipped nectar from daisies. 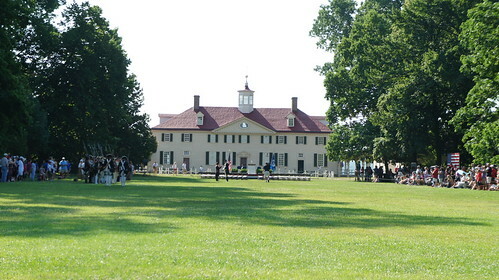 As the day got hotter toward noon we retreated back to the visitor center to look around the museum and get an early lunch at Mount Vernon Inn. 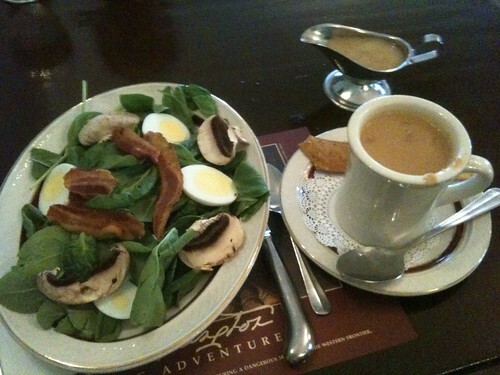 Healthy spinach salad for me, with the Inn’s signature peanut-and-chestnut soup on the side. 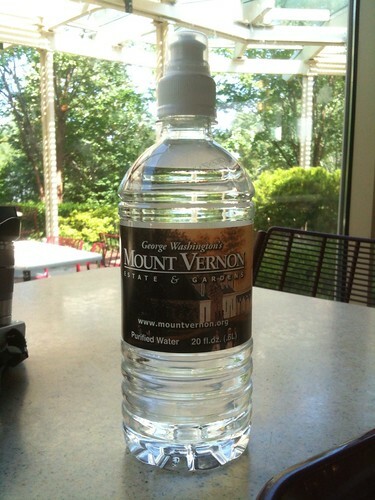 And to drink, Mount Vernon brand bottled water. 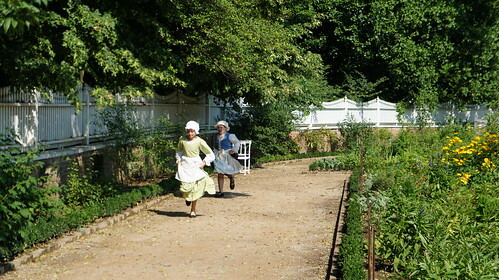 Highlight of the afternoon was daytime fireworks over the Potomac River behind the mansion, introduced by George and Martha Washington reenactors. Daytime fireworks aren’t much different from nighttime fireworks, but they use more colored smoke to make up for the flares and explosions being almost invisible in the daylight. 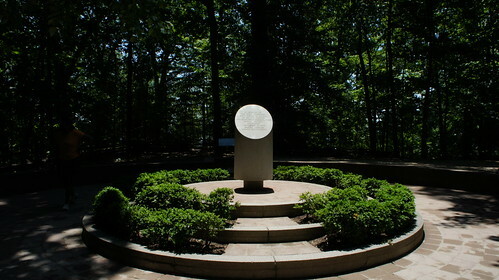 The explosions are no less deafening than at any other time of day. 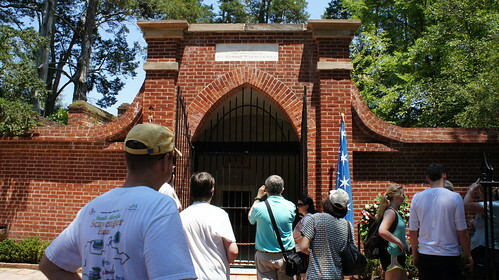 We also went down the hill to see George Washington’s tomb, the slave memorial, and wharf. 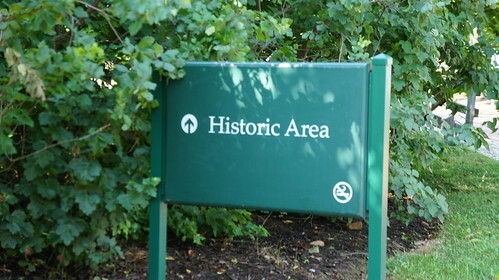 Just a bit farther down the riverbank was a farm with some kind of round wheat threshing barn devised by Washington. 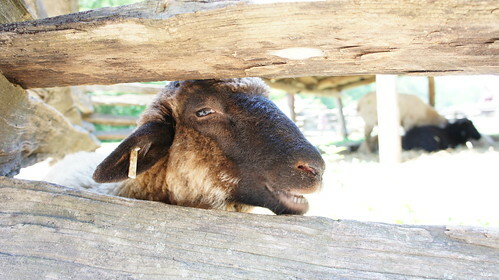 And sheep smiled at us. 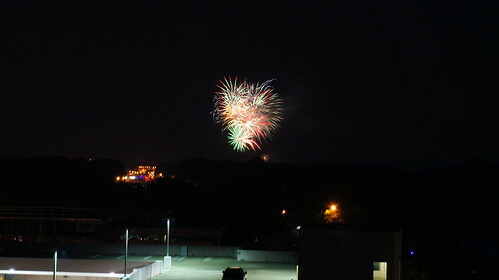 At the end of the day we bade farewell to President Washington and drove home to watch more fireworks over Vienna from the roof of the parking garage. Full Fourth of July Flickr photoset here.